It's the Olympic Season in Singapore, so there's lots of Olympic related posts. I hope no one is bored with all my YOG posts. If you happen to be at the International Convention Centre (ICC) what we usually call the Suntec Convention Centre, on the 3rd level, you will be able to see Tan Howe Liang's leotard and Silver Medal. 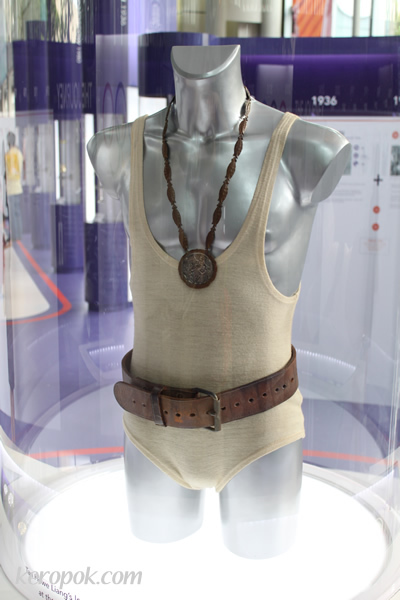 He wore this when he won the weightlifting for the Rome 1960 Olympics. Hmmm the leotard and Silver medal is so much older than me!